Google parent-company Alphabet could have another big stock buyback on the horizon, according to Citigroup analyst Mark May. 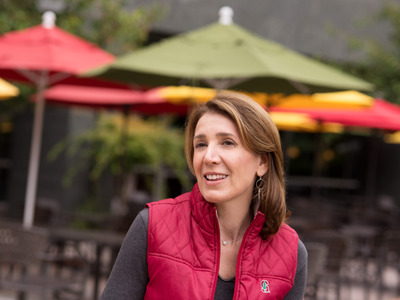 The company curried good favour among investors when new CFO Ruth Porat announced a $5 billion buyback during its Q3 earnings last October, though some thought the amount was still too small, May writes (via Barrons). Generally, Wall Street likes buybacks because they lower the total number of shares on the market, thus increasing the value of each investors’ stake. May thinks we’ll see another buyback most likely during Alphabet’s Q2 earnings because he believes the company has already depleted that original $5 billion ($1.8 billion or 2.4 million shares in Q4, $2.3 billion or 3.2 million shares in Q1, and then the last $1.4 billion between Q1 and now). Repurchase activity in 2Q16 could be lower than what it was in 1Q16 and 4Q15 (given that there was only ~$1.4bn remaining as of the end of 1Q16 and that the company has not yet announced a new authorization). For what it’s worth, Google’s stock is up 7% since it announced the buyback in October, while the Nasdaq has declined nearly 2% during the same period.